Going green. You hear it all the time, but it’s no longer a matter of opinion. People understand that the health of the environment is essential. Everyone with a conscience wants to help, but time and energy are also valuable commodities. 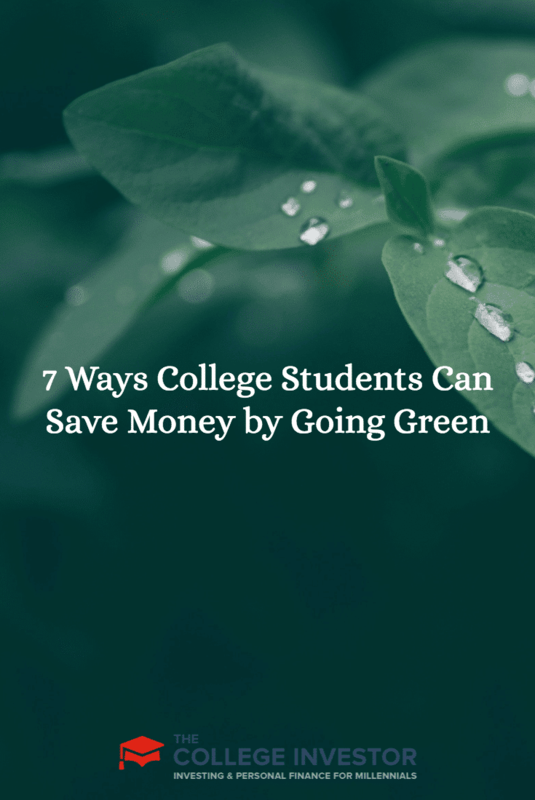 With this in mind, as a starting point, here are seven things you can do to “go green” as a college student without straying too far from your current lifestyle or sacrificing your image as a concerned, but rational, citizen. 1. Check out your transportation habits. The first thing you can you can do is change your transportation habits. Biking is the all-star, zero-carbon choice — complete with tons of fashion accessories and an array of riding style options. Public transportation is always amusing (great people watching), albeit sometimes a bit frustrating, and provides valuable time for reading, social media outlets, etc. These two fine options can be utilized in tandem. All forms of public transportation will happily (though not always gracefully) accommodate your bicycle. The second thing you can do is quite simple: Don’t leave the lights on in an empty room. This of course can be broadened to include all facets of your elaborate electronic existence. You can use energy-efficient light bulbs. Upgrade and/or downsize your fridge and other appliances. As a college student, before marriage and children, you still have a chance to control your surroundings (that is, as long as your roommates comply). A third (very closely related to the second) item, is heat. Turn your furnace down. If your finger tips are not throbbing and your pipes are not frozen, “everything is going to be all right.” A sweatshirt, knit cap, a pair of wool socks, and slippers can go a long way to replace forced hot air. And with both these things there is the added incentive of lower utility bills. 4. Buy eco-friendly cleaning products. The fourth thing you can do is buy earth-friendly cleaning products. So much damage has already been done. The least you can do is spend an extra dollar or two on household cleaners, dishwashing liquid, etc. How often is it anyway? Once a month? The feel and smell of the nontoxic products alone is worth the cost. The fifth step you can take is to buy in bulk. Nearly all the major food chains and the smaller, more health-conscious stores have bulk food sections. Buying in bulk also creates healthy meals. Cooking from scratch eliminates processed foods (especially unnatural fats and sugars). Another thing you can do in order to “go green” is to stop contributing to the waste problem. Three simple practices will help to end your deadly contribution: carry your own cup when you frequent your favorite coffee shop, bring your own bag when you go shopping, and drink tap water instead of drinking bottled water. 7. Buy digital books instead of paper books. Finally, think smartly and shop for your course materials online. You’ll save time, money, and effort by switching to online textbooks. It makes little sense to shop at a university bookstore anymore. Prices are often inflated and the process of venturing out to the store and hauling the books back to your room is both time-consuming and painful. A person could spend days researching information relating to being a wise, green, responsible citizen. As a start, there are two good resources, both of which reiterate and add to the subject. The first resource is from the EPA (Environmental Protection Agency) and the other is from the Sierra Club. There are numerous online resources for going green, so it’s best to find the one that can help you the most. 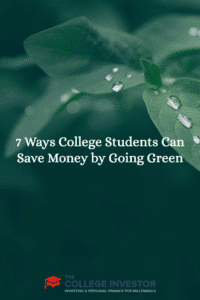 What other things do you think college students can do to go green?